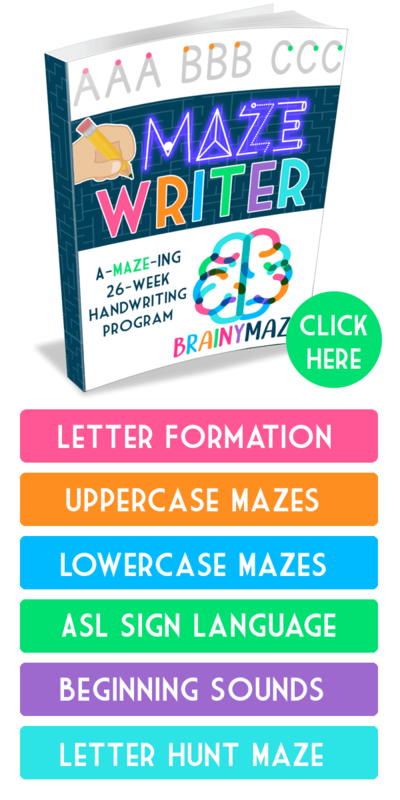 Easter or Resurrection Sunday is the celebration of Jesus rising from the dead. 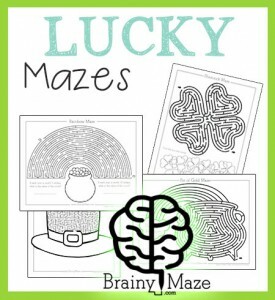 This is a FREE collection of Easter themed mazes for kids. 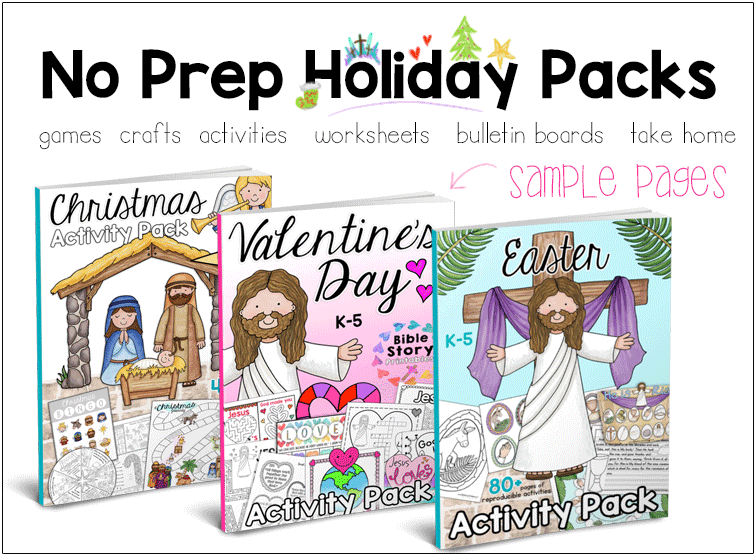 This set includes an Easter Cross, Easter Bunny, Easter Basket, Easter Flowers, Chocolate & Marshmallow Bunnies and more! 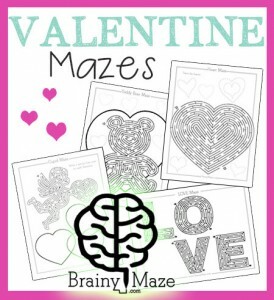 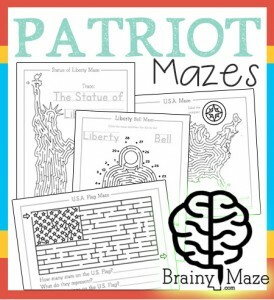 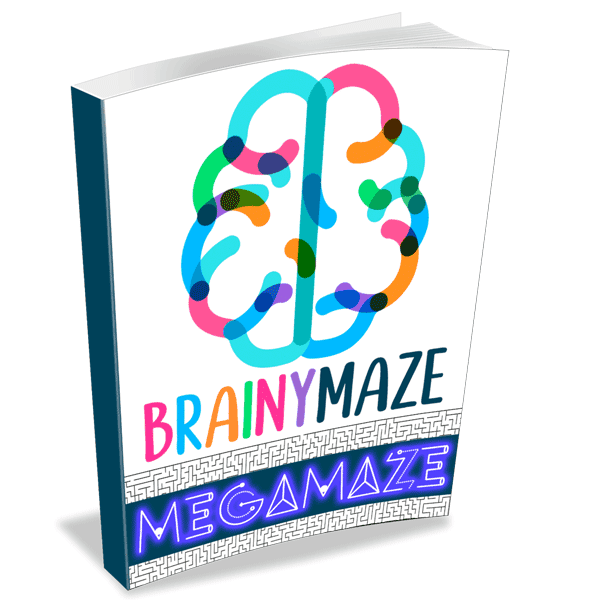 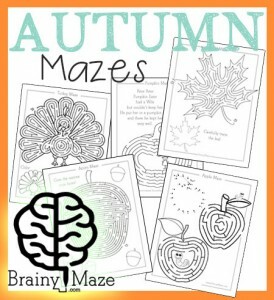 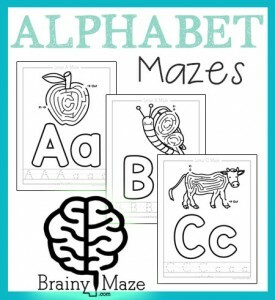 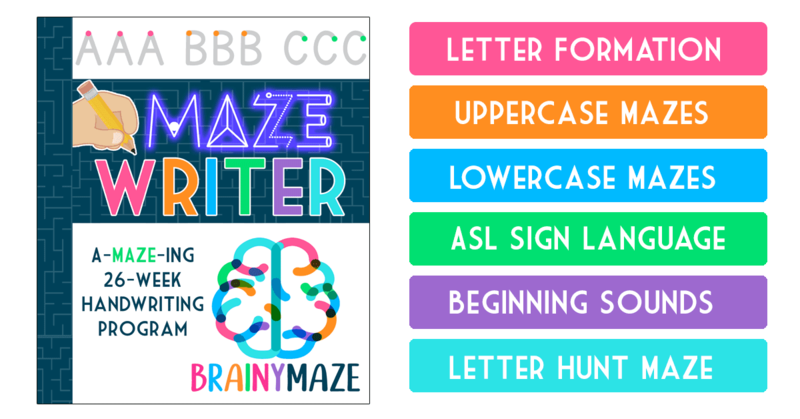 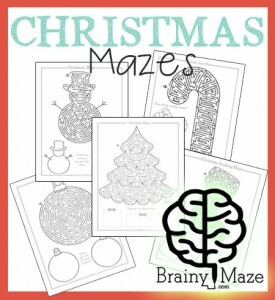 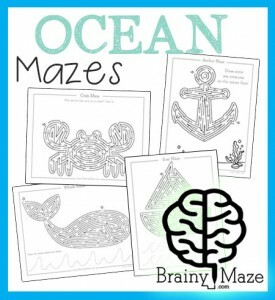 Each maze includes educational follow up activities. 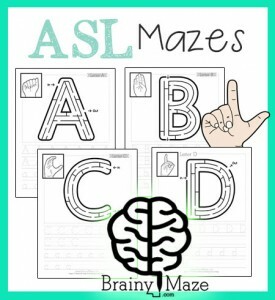 Your students won’t even know they are learning! 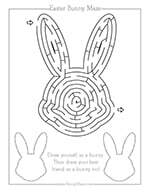 This is a free printable Easter maze featuring a chocolate bunny. 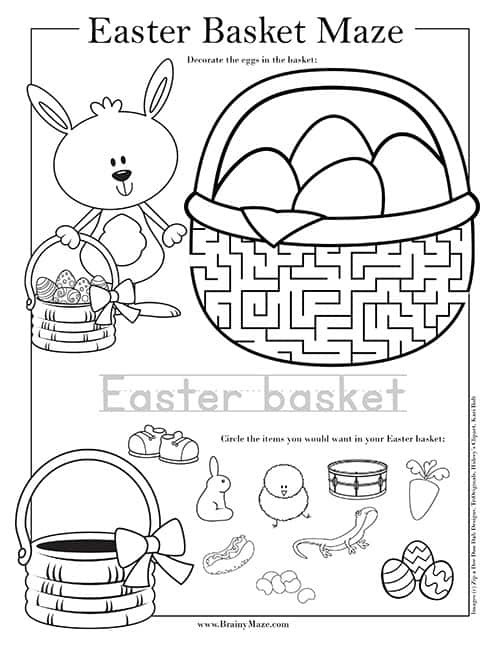 Students trace the bunnies and count the Easter eggs to solve the worksheet. 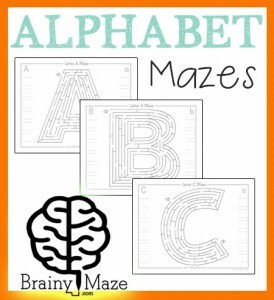 This is a free printable Easter maze featuring an Easter Cross. 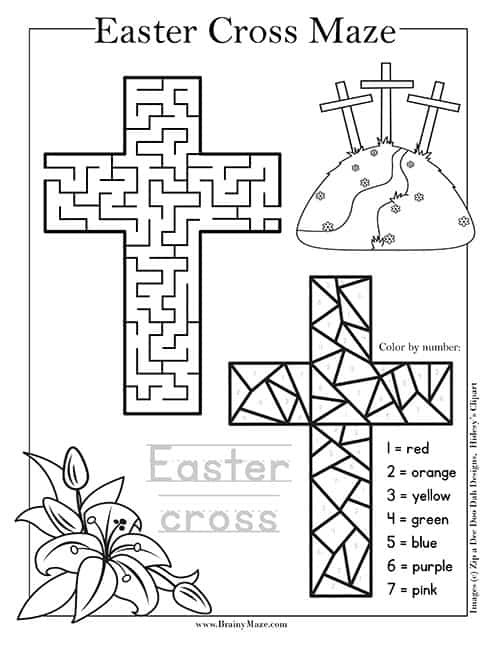 Students then color by number a stained glass Easter Cross. 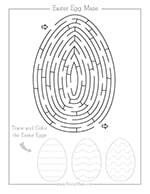 This is a free printable Easter maze featuring an Easter Egg. 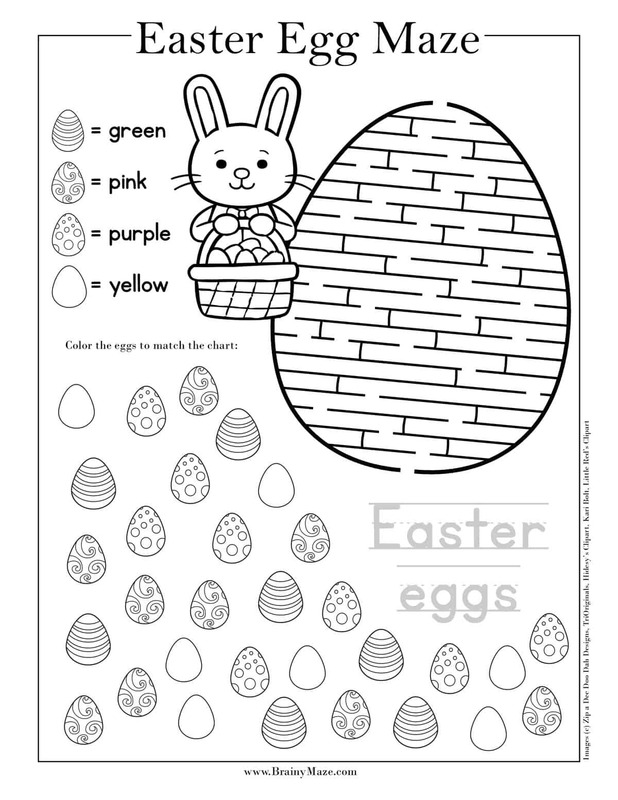 Students follow the instructions color the eggs. 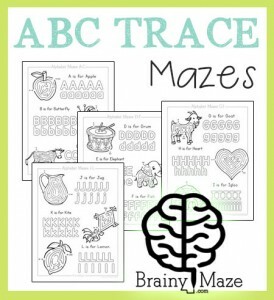 This is a free printable Easter maze featuring an Easter egg. 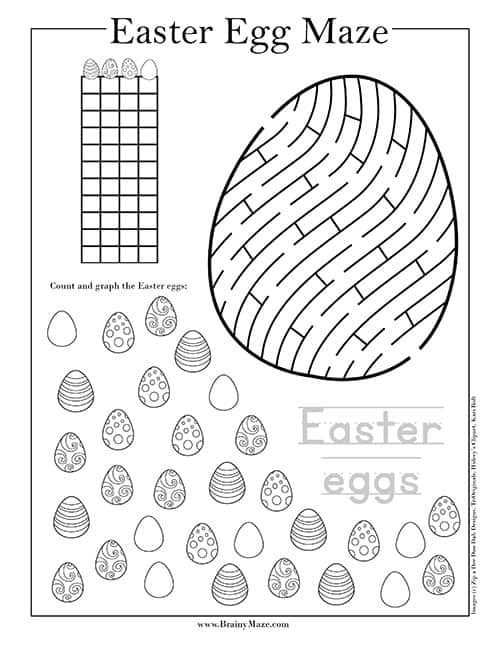 Students then count and graph the Easter eggs by different designs. 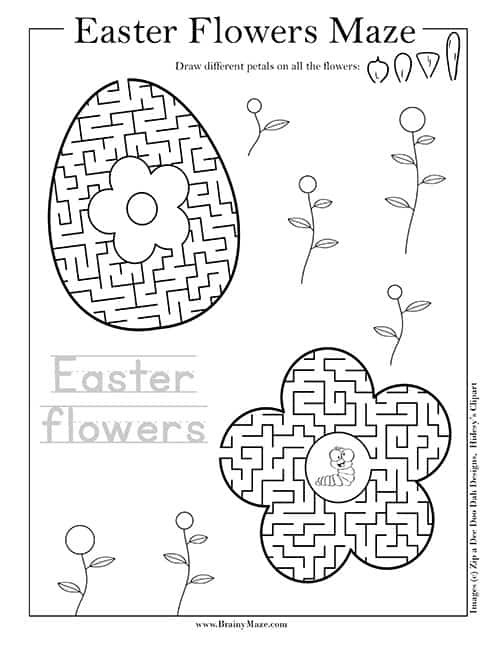 This is a free printable Easter maze featuring Easter flowers. 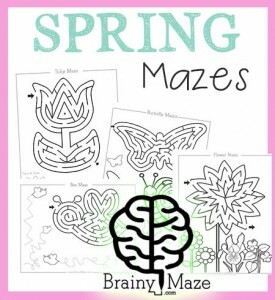 Students solve the mazes then draw petals on all of the flower stems. 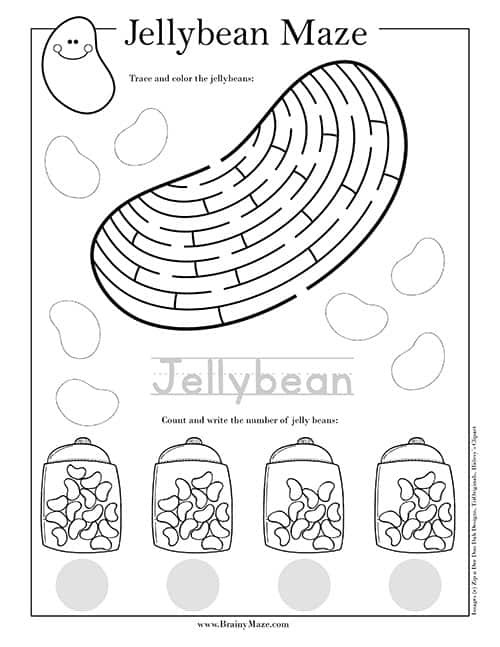 This is a free printable Easter maze featuring Jellybeans. 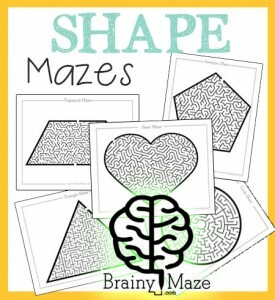 Students solve the maze, then trace the jellybeans. 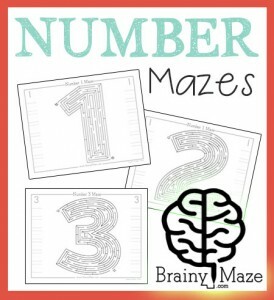 Students count and label the jellybeans in each jar. 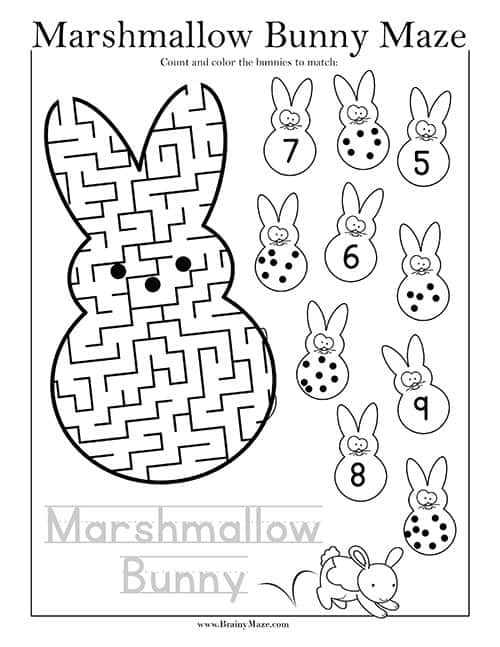 This is a free printable Easter maze featuring a marshmallow Bunny or "PEEP." 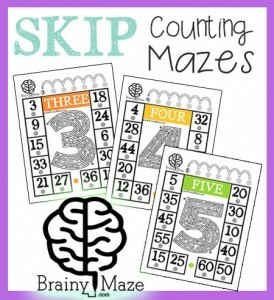 Students count and color to match the little peeps. 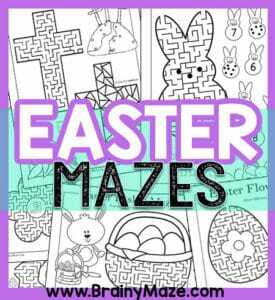 A free printable Easter Cross maze for children to solve. 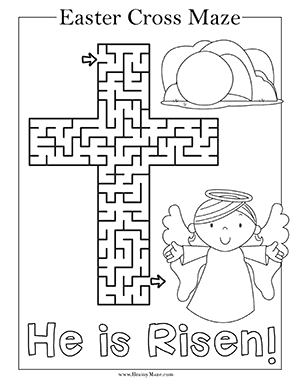 This worksheet features a coloring activity of the empty tomb, the angel and the words, 'He is Risen!" 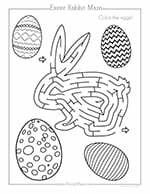 A free printable Easter Bunny Maze with Eggs to color. 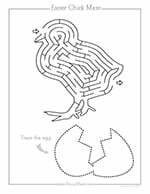 An Easter Chick maze with a tracing practice exercise at the bottom. 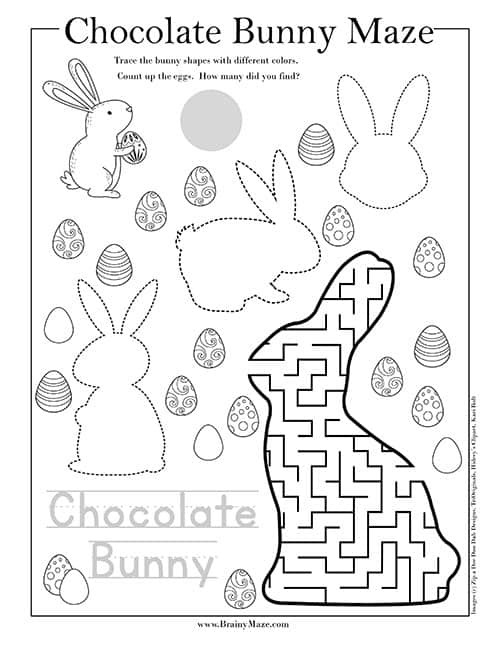 A cute chocolate Easter bunny maze with a drawing activity at the bottom of the worksheet. 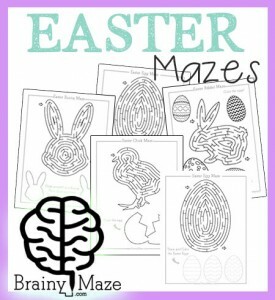 An Easter Egg maze with three tracing eggs at the bottom.